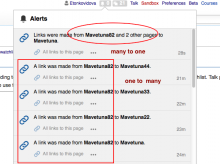 page-linked Links were made from Easter Island and 99 other pages to Moai. 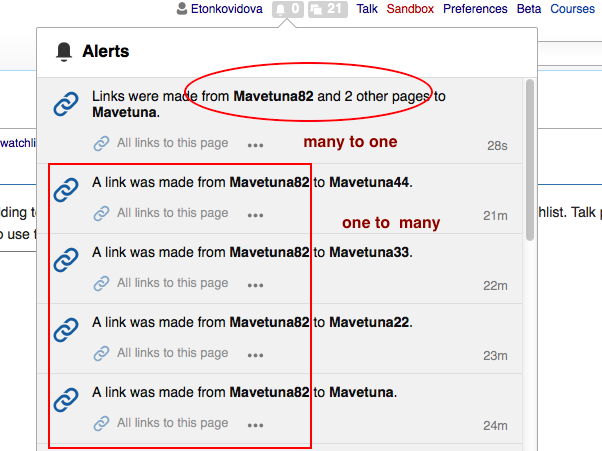 This covers the case when a page and other pages are linked to a certain page, as in the above example: 'Easter island + 99 other pages' are linked to 'Moai', i.e. many-to-one. Should be there a bundle for a symmetrical case: one page is linked to many?